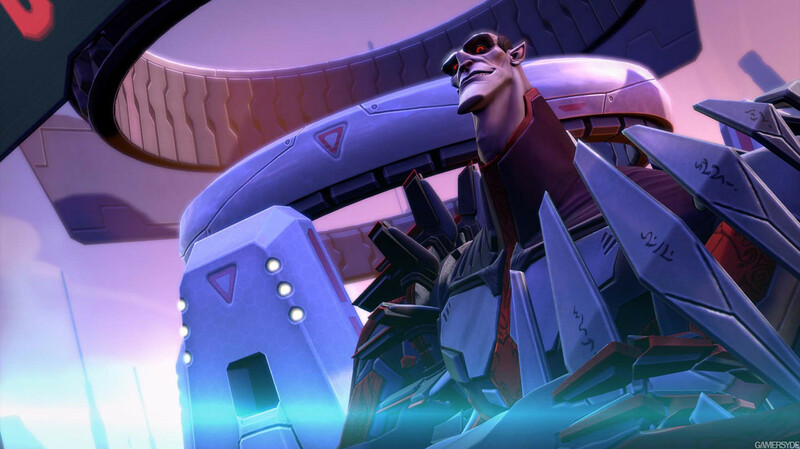 Toby reports back with the second part of his Battleborn preview, this time taking a look at the game's story mode. While my time with Battleborn’s PvP-focused Incursion mode was a great combination of a MOBA and FPS, the two missions I played in the game’s story mode didn’t fare anywhere near as well thanks to repetitive gameplay and uninteresting characters. Battleborn’s story takes place on the last remaining star of Solus, and is a fascinating, comical look at the final frontier for this group of ragtag heroes (the last in the universe!). It brings together the game’s 25 disparate characters, and there’s certainly a lot of potential for something really interesting here. However, the 90 minutes I spent inside the mode felt lacklustre – almost like I was missing the punchline of a well-crafted joke. Both of the missions were played through with a party of five. ‘Co-op’ and ‘working together’ were the phrases echoed throughout my time in Battleborn, with single player disregarded for the preview. Much like Incursion, Battleborn’s story mode is set up with every hero character starting at level one. Throughout a mission, you make your way up to the maximum level of 10, picking one of two abilities each time you increase level. There are also customised loadouts that increase character stats a small amount, but these need to be purchased using Shards scattered around the map. As was also the case with Incursion, character choice plays a pivotal role in the success or failure of any given mission, and having a healer in your team is almost essential. This wasn’t something my team deliberated over before jumping in, and it was a gruelling lesson to learn. The first mission we played almost felt like an FPS version of a tower defence game, with the five of us tasked with activating and defending pillars throughout the map. It became routine noticeably quickly, with one of us activating a pillar while the other four spent Shards to set up turrets and health stations, then positioned ourselves to face oncoming enemies. There were a handful of waves – each increasing in difficulty – with the last one requiring a full-on offensive from everyone to repel. It was game over when the enemies destroyed a pillar, and we never got through the final, chaotic wave. where things became way too chaotic. I wasn’t particularly bothered by the repetitive nature of this mission, but it felt formulaic at best. The second mission we played, The Void’s Edge, had us escorting a Wolf Sentry around the map. It didn't feel that different from the mission we’d just played, but the focus on defending a moving object rather than a static one made for a more enjoyable experience. We didn’t build as many turrets and healing stations this time, preferring to upgrade those on the Wolf Sentry instead. Despite more dynamic gameplay, The Void’s Edge still felt very basic. I’d actually played this particular level back at the EB Games Expo last year and felt underwhelmed back then. And after playing it through to completion again, my opinion hasn’t really changed. In fact, both missions I played just didn’t feel all that enjoyable – especially when compared to how fun the game's Incursion mode is. Given the openness of Gearbox's Borderlands, I was also surprised by how linear the maps were. There’s definitely room to move, but it’s more-or-less all about getting from point A to point B, without much exploration. 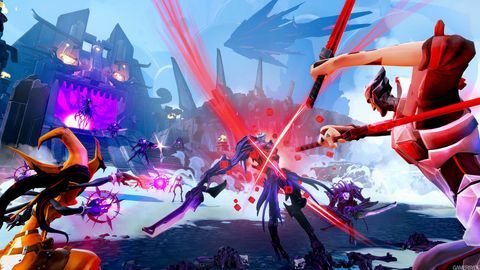 The story of Battleborn definitely seems interesting, it’s just that the gameplay here felt tedious – too routine for what I’d expect from its story setup. Comparing the plethora of differing activities seen in the Borderlands series, I’m curious as to why Gearbox hasn’t elected to make Battleborn a more dynamic, non-linear experience. I’m also worried about how the game will fare in single player. As I was with a group of people there was at least had some banter and communication going on, but from a single player perspective, Battleborn could well feel empty and uninteresting. This is not only due to the mission structure that’s in place here, but the writing and voice acting, which both felt uninspiring. While the personality of Scooter, Handsome Jack, and Claptrap reigned supreme and made Borderlands such a unique and enjoyable experience, the characters of Battleborn and the Varelsi – the primary enemy faction – just aren’t that entertaining. Of course, I only played two missions out of however many there will be, so I’m hopeful that the story will deliver on its promise, and that there’s more to it than just waves of enemies continually coming at you for different reasons. I’m still keen to see how it all turns out, and if all else fails, the game's enjoyable Incursion mode will be the drawcard for me. 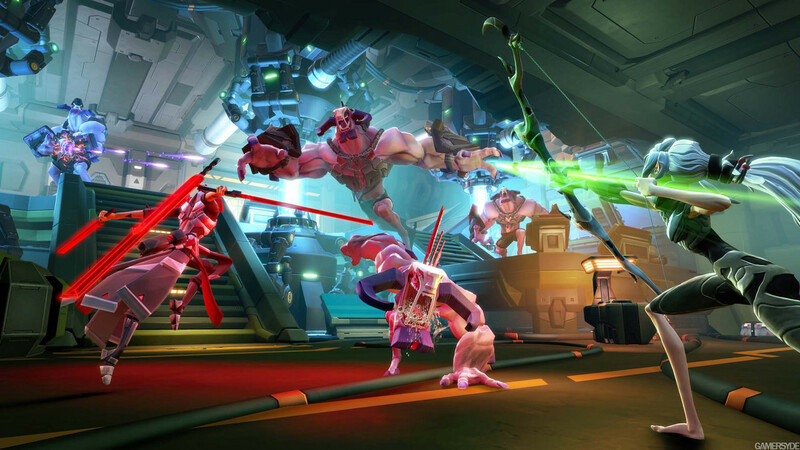 Gearbox announced today that a Battleborn open beta will kick off next month – click here for details. 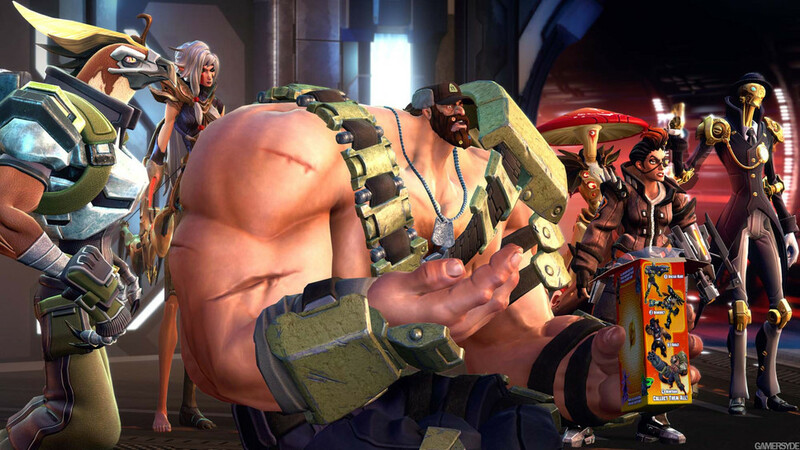 ▰ 7 Is Battleborn going free to play?